The most effective way to make the most of Microsoft Excel. "Truly bespoke training that accommodated our different knowledge levels and was excellent value for money." Learn the basics to get you started in Excel. Learn the core skills to make sure you are making the most of Excel. We understand that every company and every individual has different training needs. For this reason we do not offer standard or public Excel training courses. We offer on site bespoke Excel training courses in Bristol, Bath, London, the South West and the South East tailored to the needs of your business and your employees. If required we can perform an Excel training needs assessment of your team to ensure that the training is focused on delivering against gaps in knowledge. "I arranged Excel training through Clarity following a recommendation. Myles delivered a valuable, tailor-made session which taught myself and my colleagues skills relative to how we need to use excel for our work. Myles was extremely patient with us and continuously ensured we were on track. What I found most beneficial were the working examples he created for us to work with throughout the training. I would highly recommend Myles. He understands your business need for training and delivers exactly that and much more." "Thank you so much for the bespoke Intermediate / Advanced Excel course that you carried out on-site at Zuken. The training was for myself and one other person and was delivered friendly and efficiently. It was well organised and our trainer was really great at adapting it to each of our individual needs. He assisted us in applying the new techniques to some of our existing reports and this has really helped reduce time in our day to day reporting. I would certainly recommend Clarity to anyone wanting Microsoft Excel training and will not hesitate to use you again." "We have spent a long time looking for the right training company to deliver our excel training. In Clarity we found just what we were looking for - tailor made excel training for each and every one of our employees. Not only did we get excellent excel training at all levels, but they also understood how we were using excel in our work, making the sessions much more relevant. We would highly recommend Clarity and will certainly continue using them in the future." "I cannot praise the instructor highly enough. 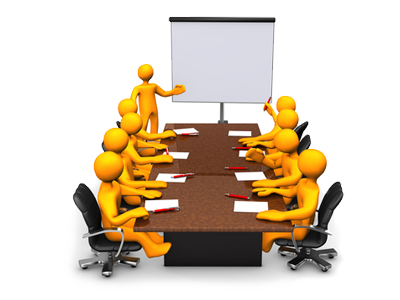 Our requirements for the training were clearly reviewed, discussed and tailored to a group of very different abilities. Pacing, delivery and passion for the subject and level of knowledge was excellent. The instructor used his knowledge and experience to advise how we could apply improvements to our existing ways of working. Thank you." "Excellent bespoke training course and has progressed my knowledge of Excel immensely. Good training materials and knowledgeable tutors. Have used on a couple of occasions and will definitely use again in the future." "As a unique and global-leading energy research consultancy, our analysts are a community of highly skilled and talented individuals. As our market continues to move at rapid pace with more and more data being sourced, our analysts have had to enhance their skillset with a highly advanced new set of Excel skills. We have partnered with Clarity Consultancy Services for a number of years. They have delivered a blend of modular training to groups of analysts mixed with powerful and collaborative 1:1 sessions – unlocking not just individual ability but transforming the way we handle incredible amounts of data. This has resulted in us absorbing greater amounts of data and translating that in to cutting-edge research. I would recommend Clarity Consultancy Services without hesitation. Myles is one of the family at Energy Aspects, building strong relationships across the business. He provides regular support to our teams, and our analysts enjoy challenging, and being challenged by, Myles!" “My team and I found our bespoke Excel training course covered everything we had requested and more. It was perfectly pitched for the various abilities in the group and the materials are very useful. "Great to meet you today and thanks for the course. We all really valued it and are looking forward to being more efficient with excel! I'm sure we will be seeing more of you and your team in the future."